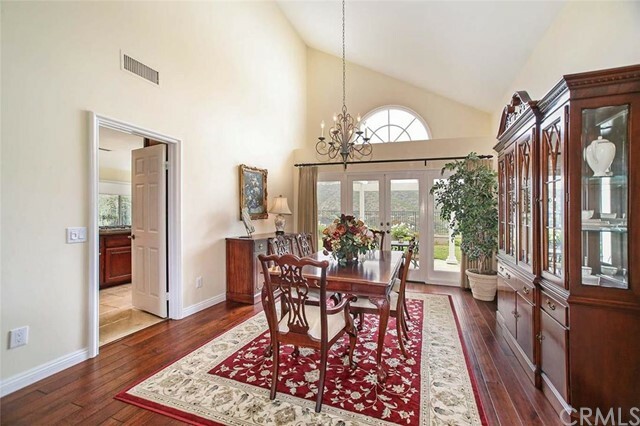 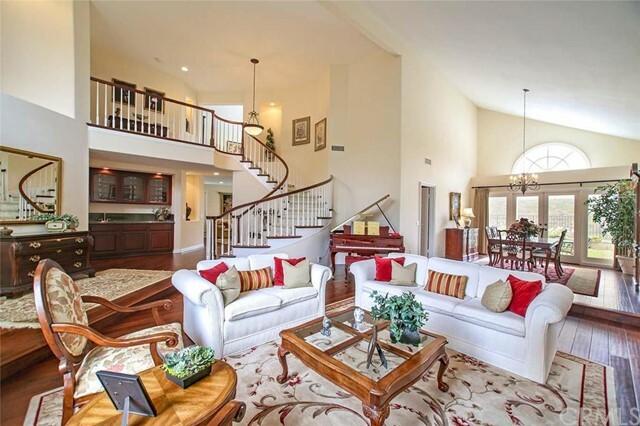 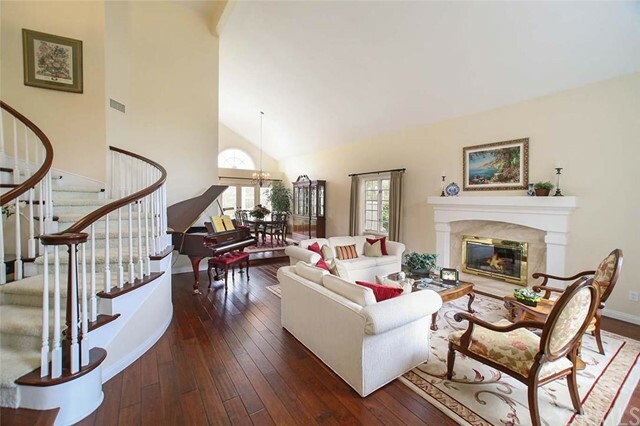 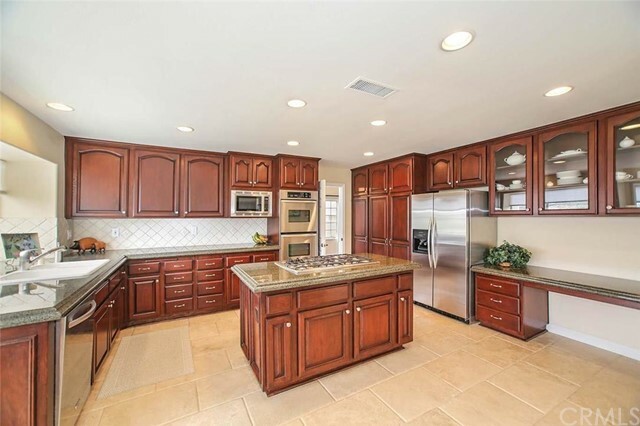 Stunning Crest De Ville Estate home located on one of the most sought after lots in the desirable Guard Gated community. 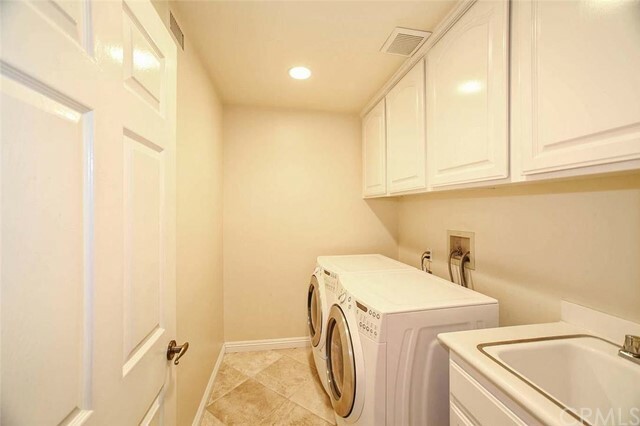 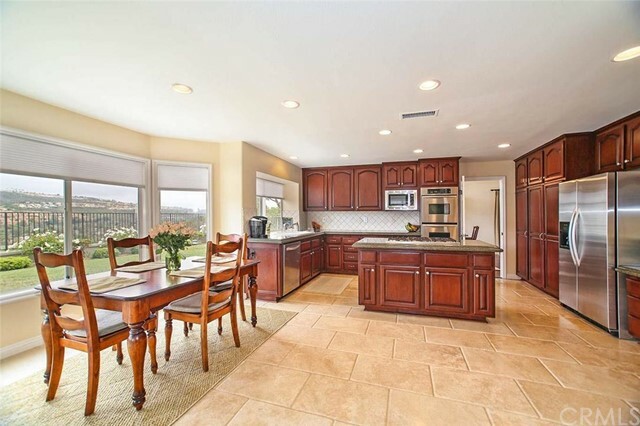 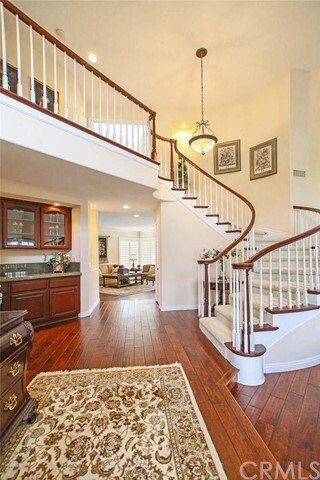 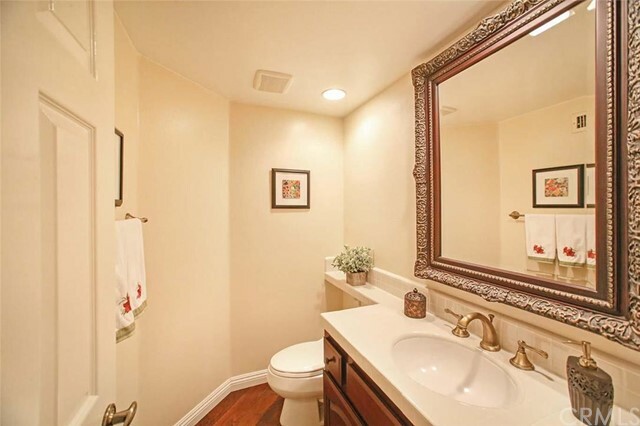 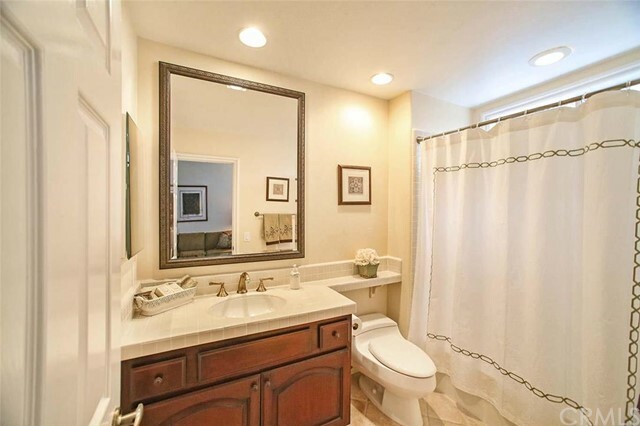 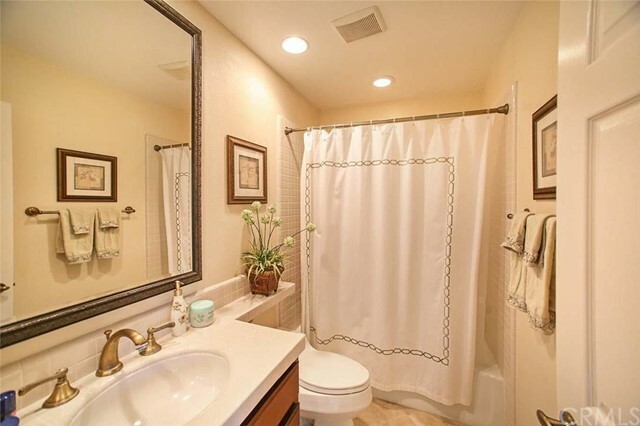 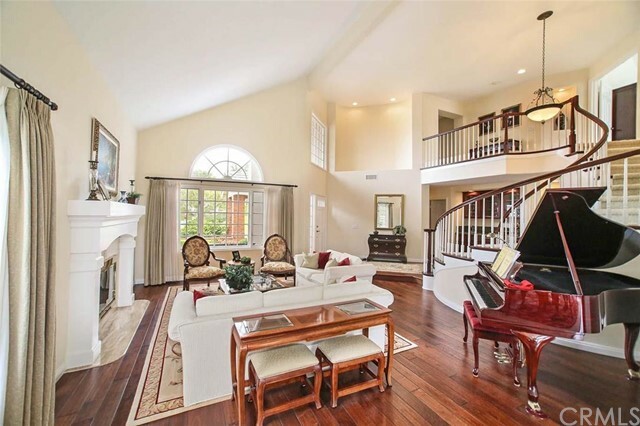 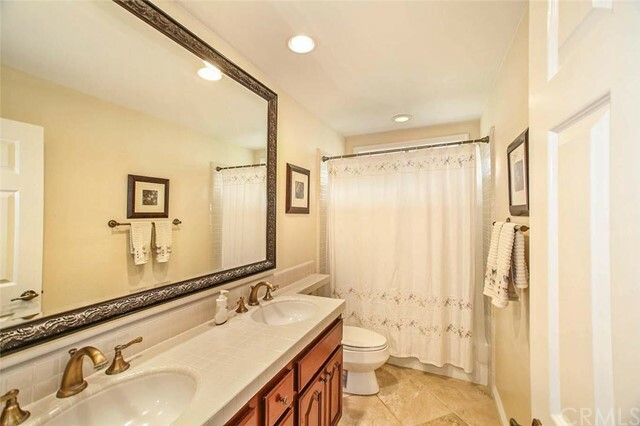 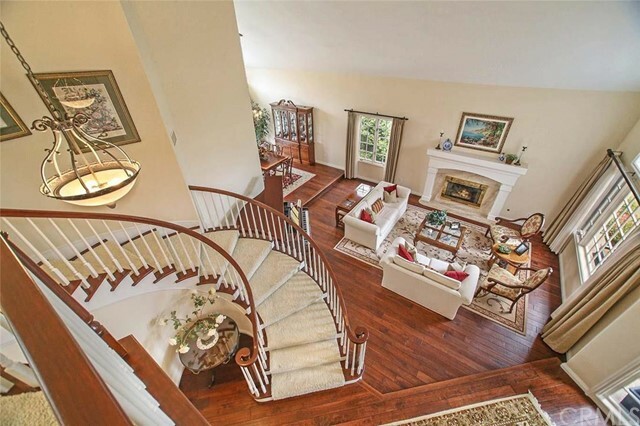 This 5 bedroom, 4 1/2 bath home is light & bright featuring soaring ceilings, a dramatic curved staircase, newer rich Cherrywood flooring, updated bathrooms, 3 fireplaces, a large gourmet kitchen with center island, stainless appliances, built in desk, oversized bullnosed travertine flooring, timeless granite countertops, an abundance of cabinetry, double ovens, gas cooktop, a luxurious master suite with vaulted ceilings, fireplace, balcony, private bathroom with dual sinks & large walk in closet in addition to a main floor bedroom & full bath, plantation shutters, an inside laundry room, 3 car attached garage and impressive brick paved entry. 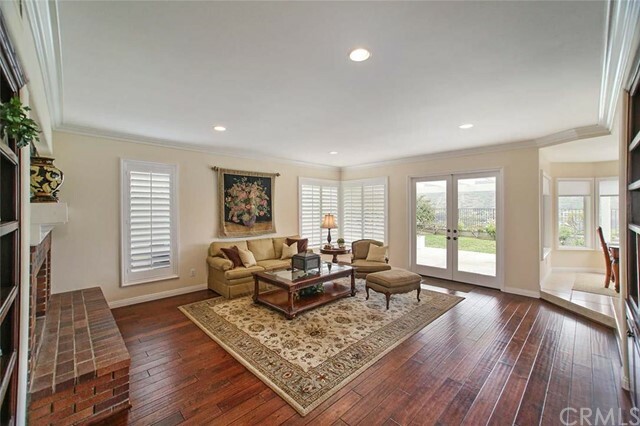 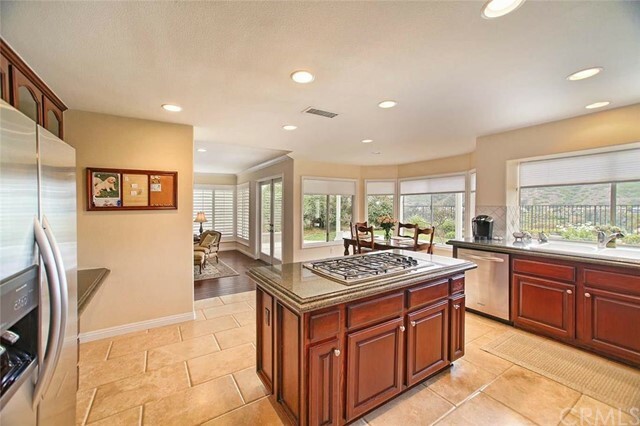 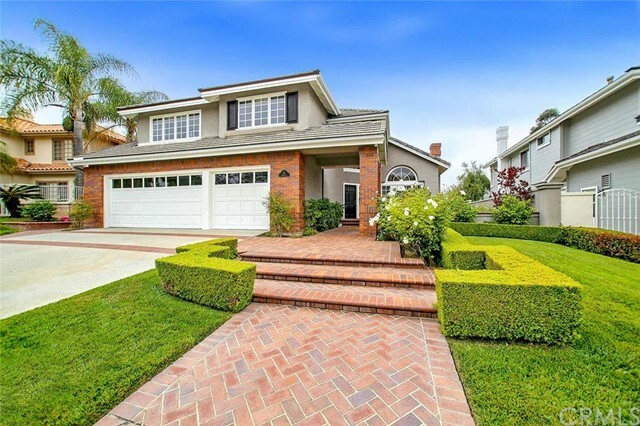 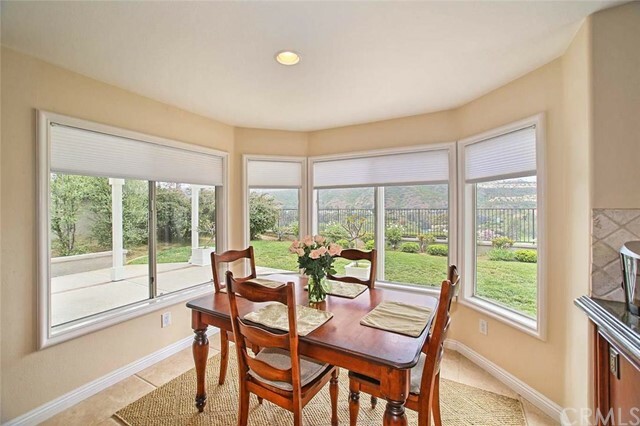 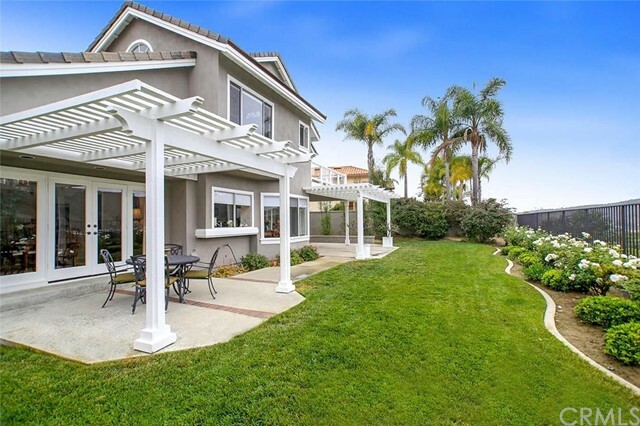 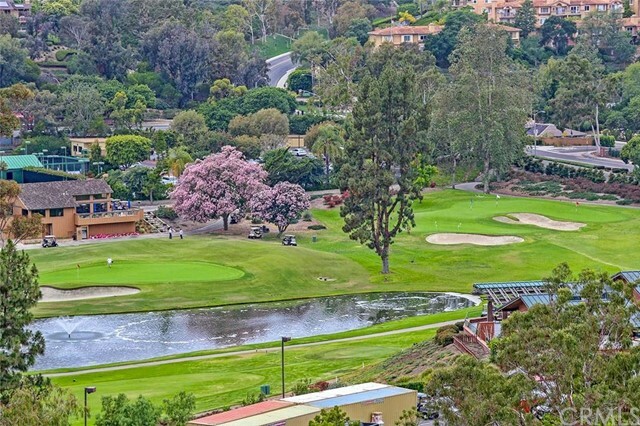 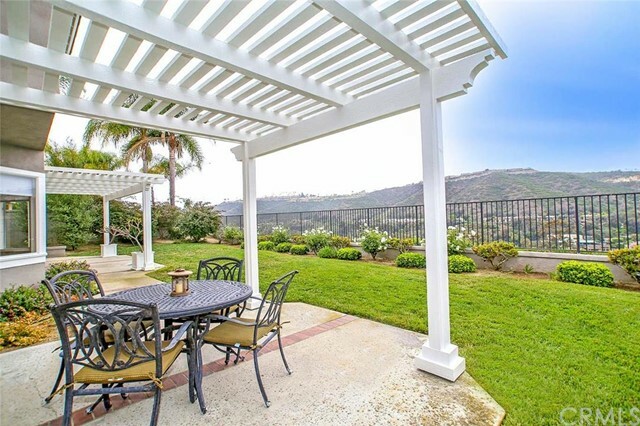 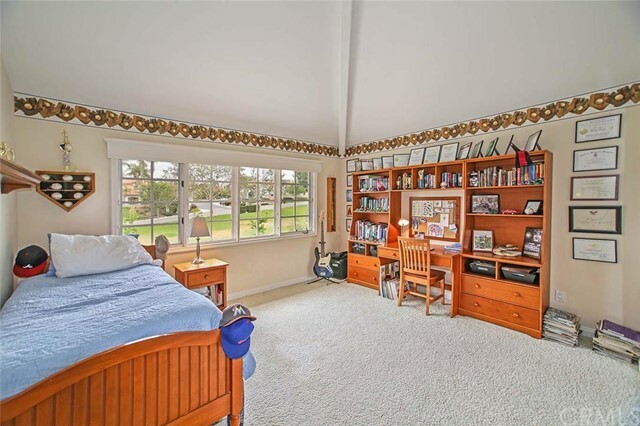 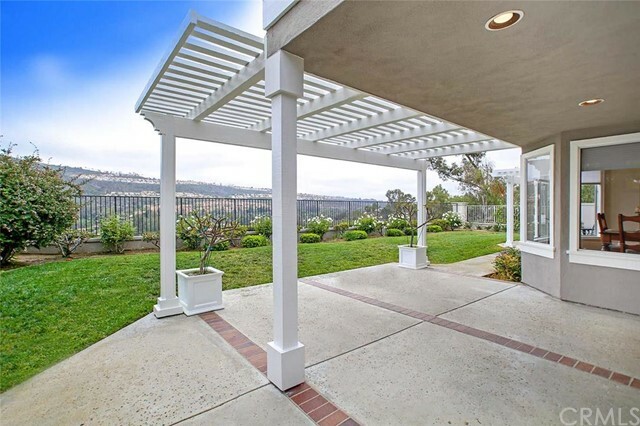 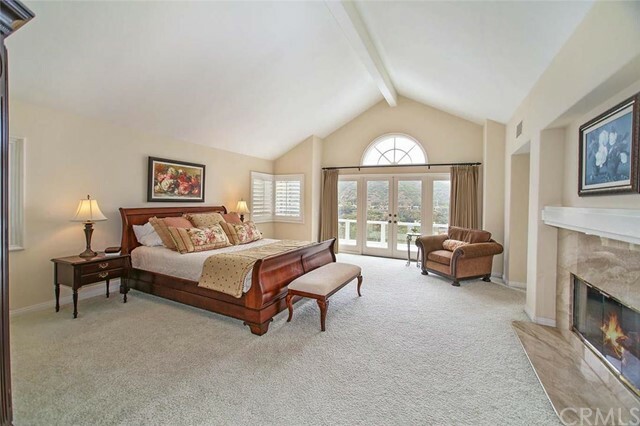 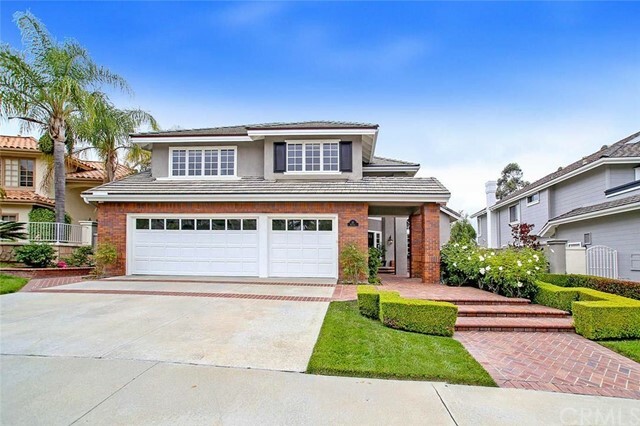 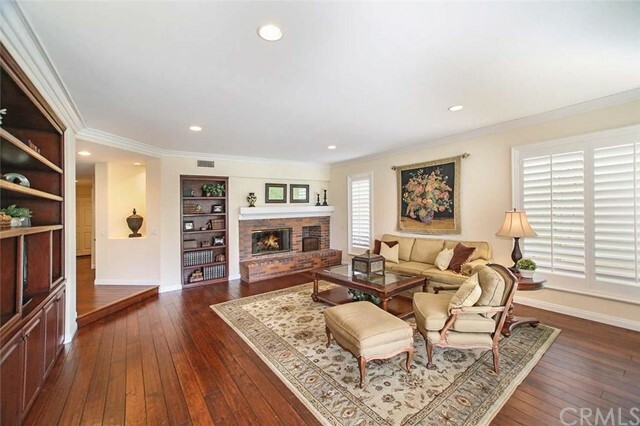 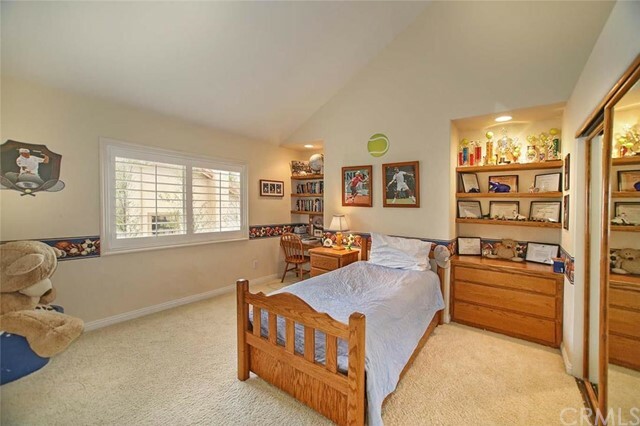 Meticulously maintained with Pride of Ownership, the home enjoys breathtaking panoramic views of El Niguel Country Club Golf Course, Lake with Water Feature, Hills & City Lights. 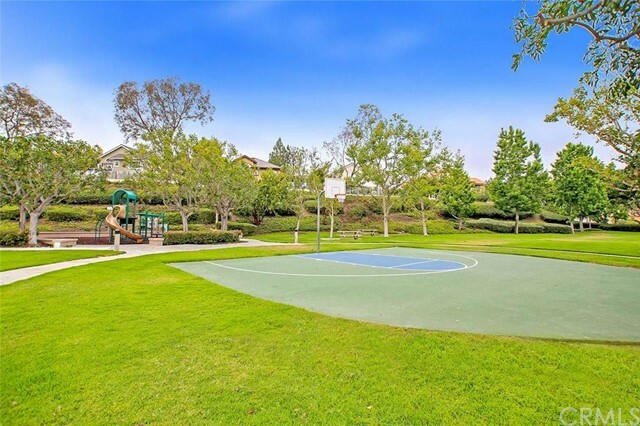 The Premium lot setting is across from a beautiful green belt on a single loaded street for an open feeling encompassing views from the front & back of this cul-de-sac location. 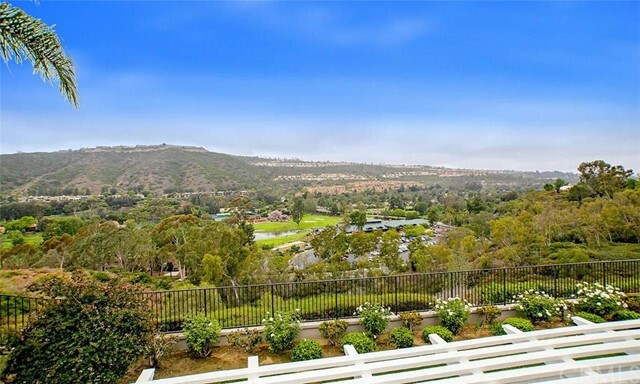 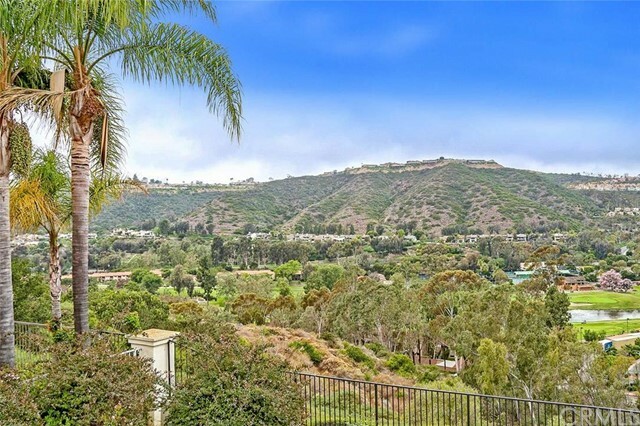 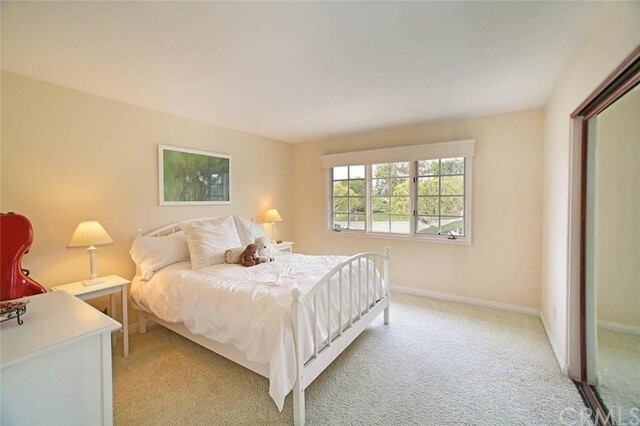 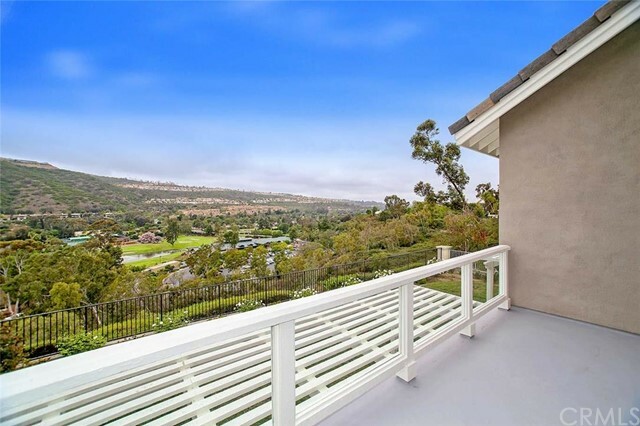 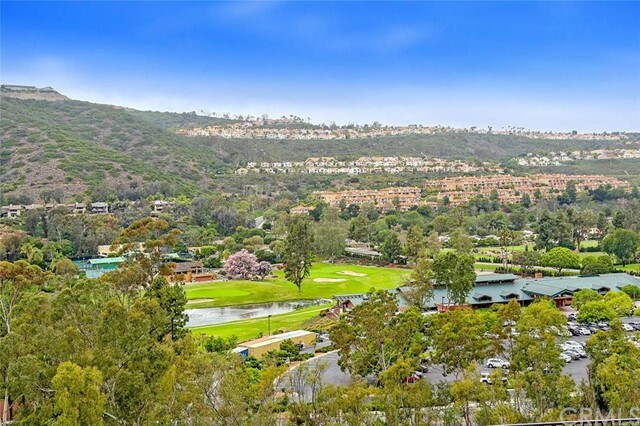 Close to famous beaches, golf courses, walking trails to Salt Creek Beach, Ritz Carlton, St. Regis Resort, Laguna Beach & award winning schools.